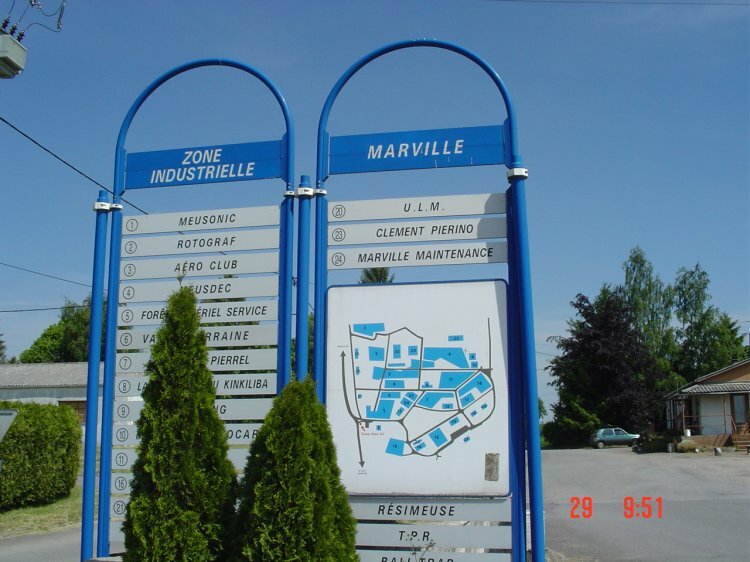 The sign at the main entrance to the airfield - 29 May 2004. 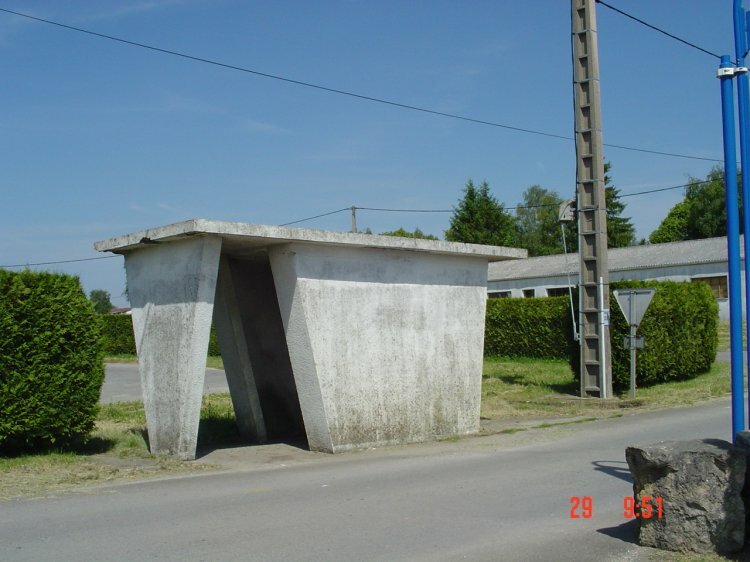 The bus stop at the main entrance to the airfield - 29 May 2004. 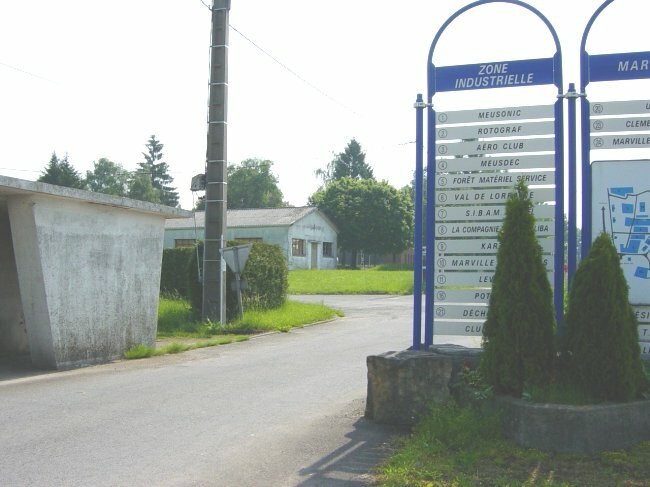 Main gate to the airfield - 1 June 2003. 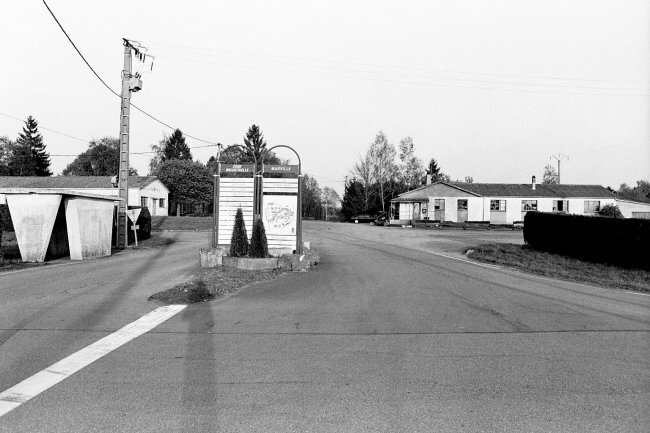 Relate this photo to the April 1962 photo for proper prospective. 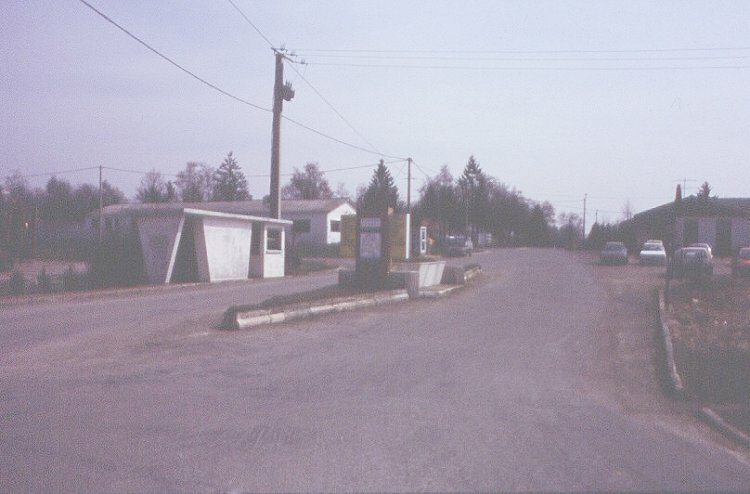 Looking out at the highway from the main gate - 1 June 2003. 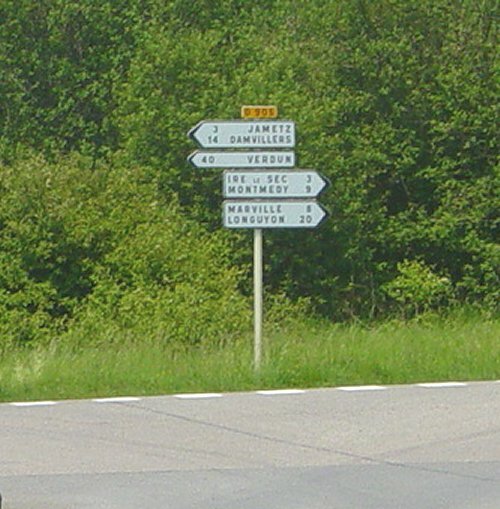 Larger image of the highway signs on departure from the main gate - 1 June 2003. 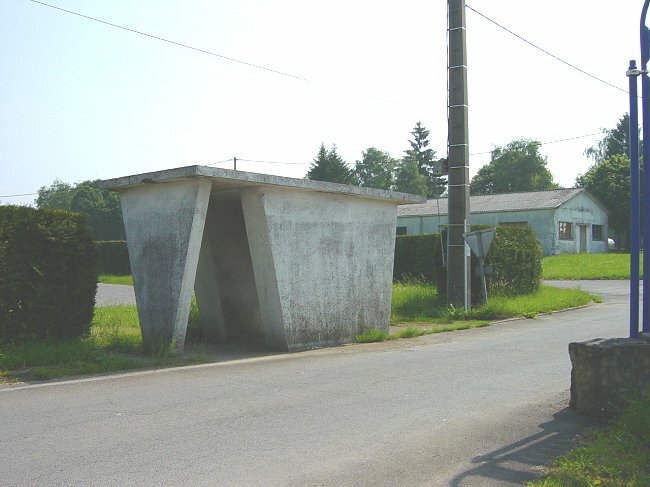 Shelter area for personnel - 1 June 2003. 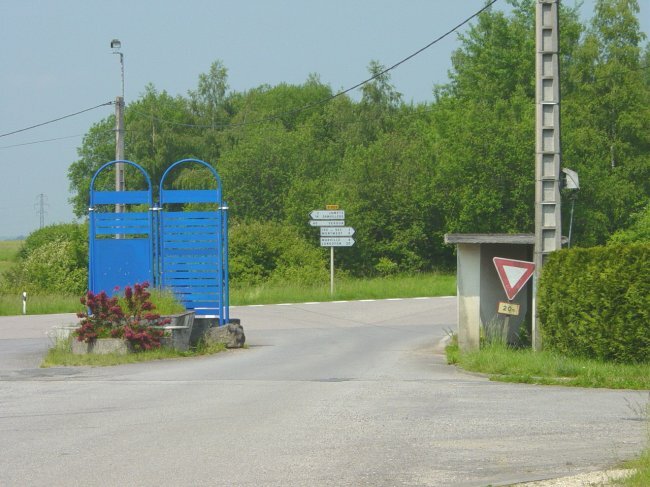 Shelter area for personnel (far left) and signs (right) at main gate - 1 June 2003. 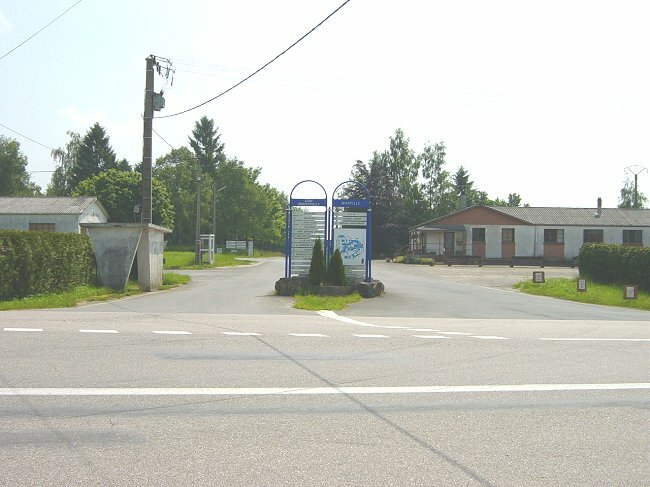 Front gate showing the bus stop and the AFP building - April 2003. 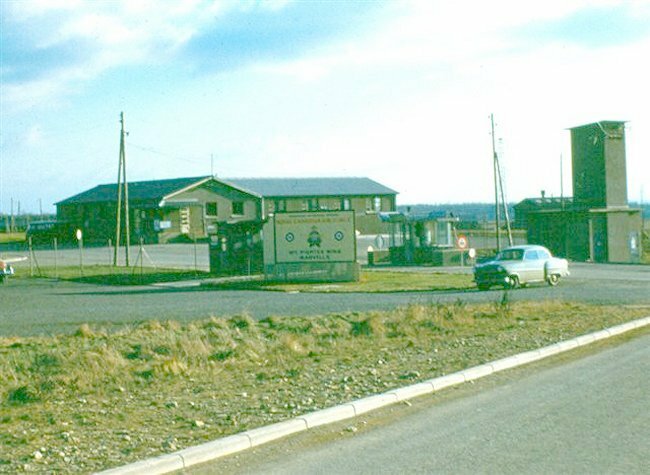 Front gate showing the AFP building - April 2003. 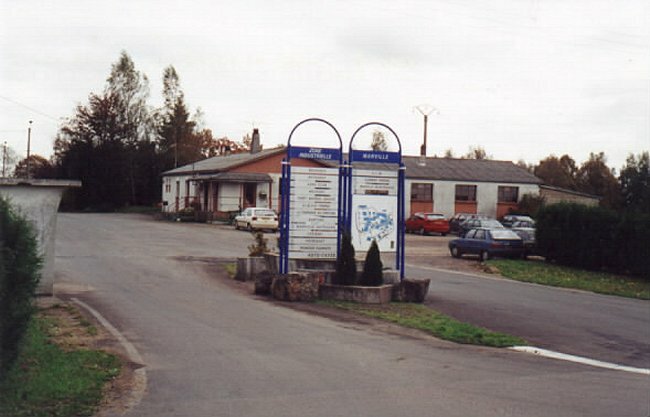 The main entrance to the station - 2000. 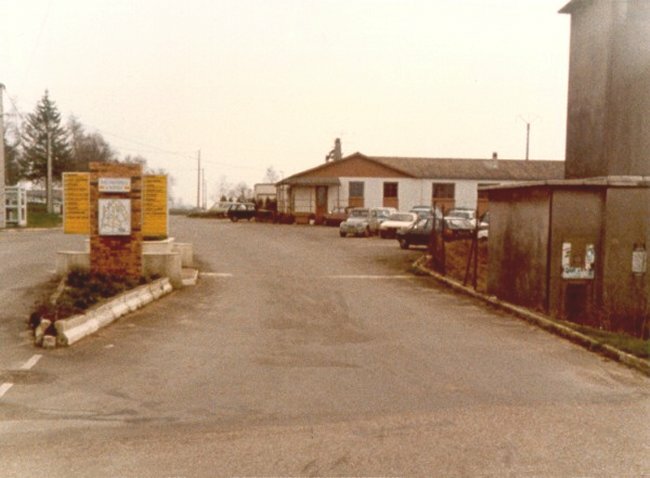 View of the "main gate" area on entering the station - May 1992. 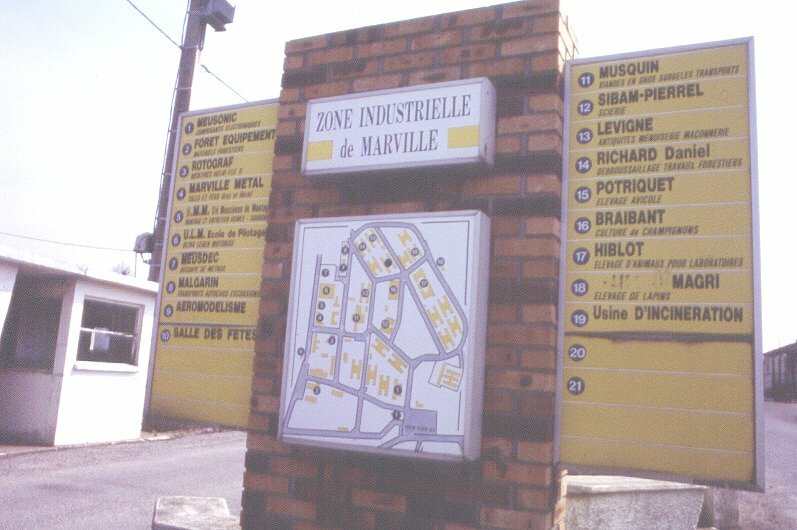 Close up image of the sign at the "main gate" - May 1992. 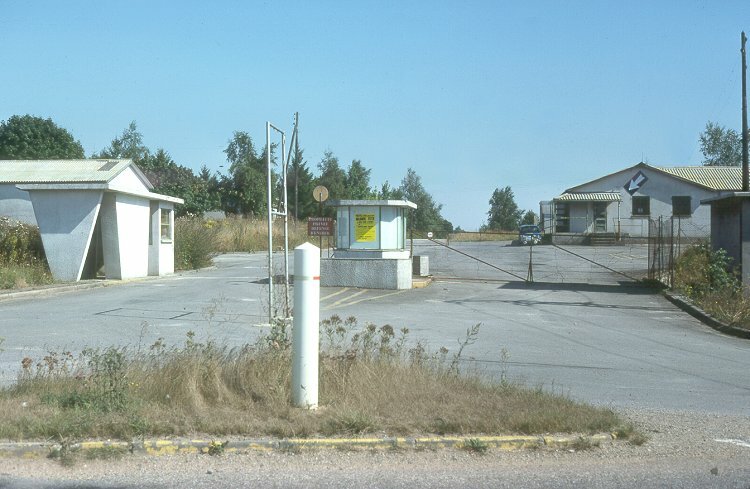 View of the "main gate" when exiting the airfield - May 1992. 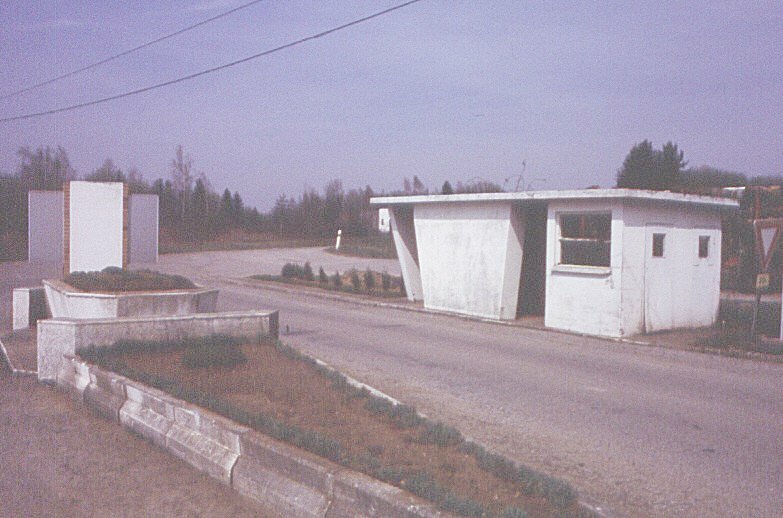 Remains of the bus stop at the "main gate" - May 1992. 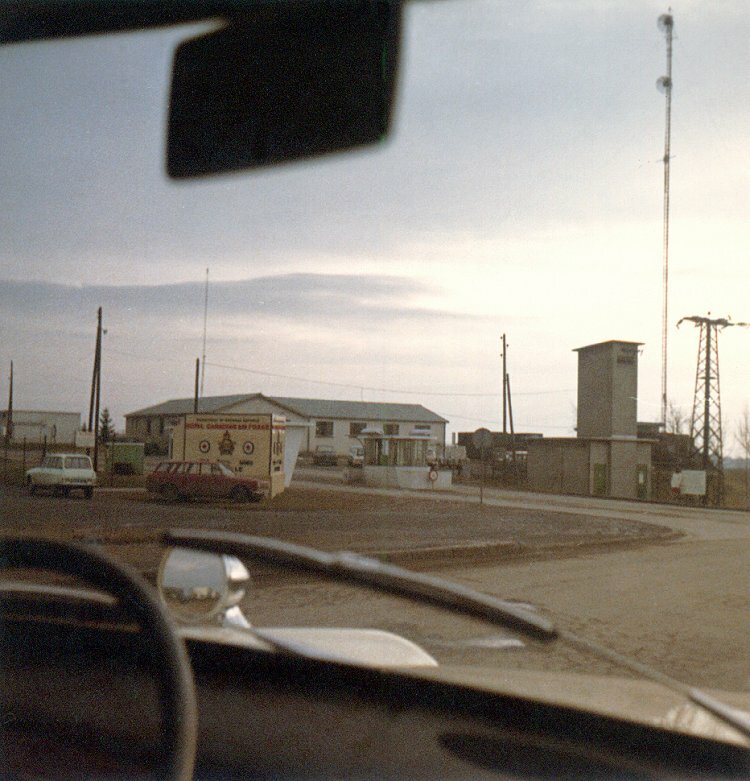 View of the "main gate" area - April 1988. 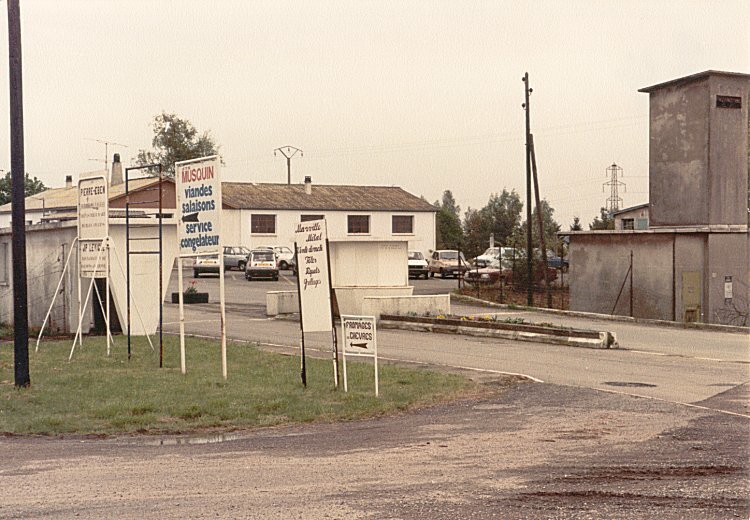 Remains of the "main gate" area - May 1984. 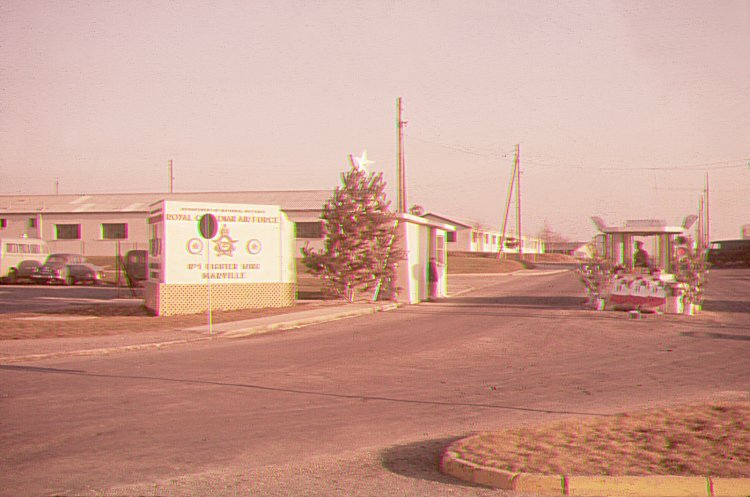 Front gate showing the bus stop and the AFP building - September 1975. 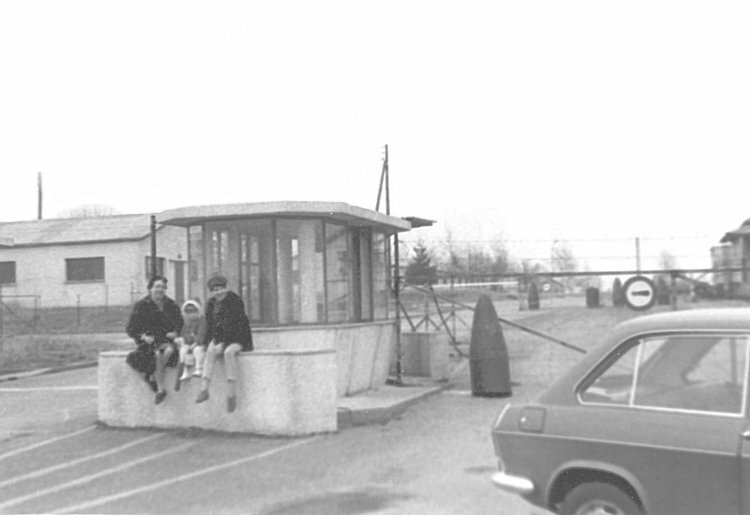 French civilians resting at the front gate of the station - May 1971. 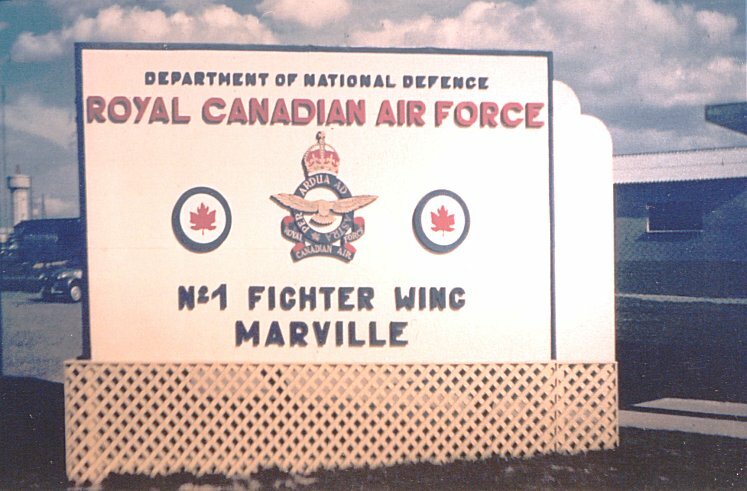 Photo of the sign at the main gate - April 1966. 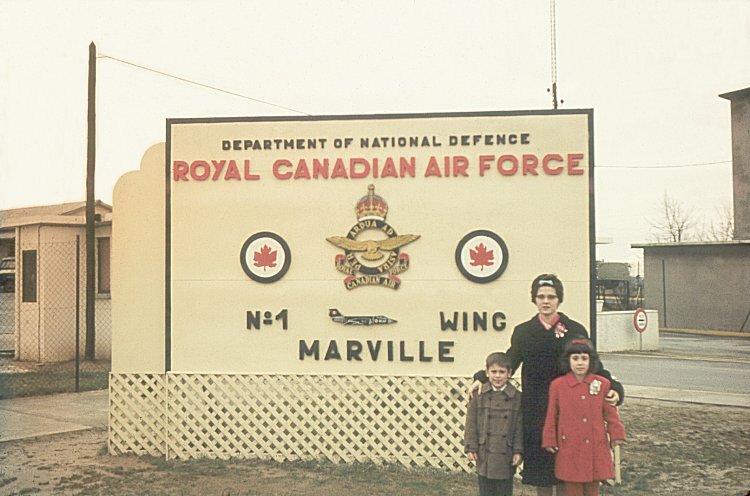 (L-R) - Tim, May & Lorna Cyr. 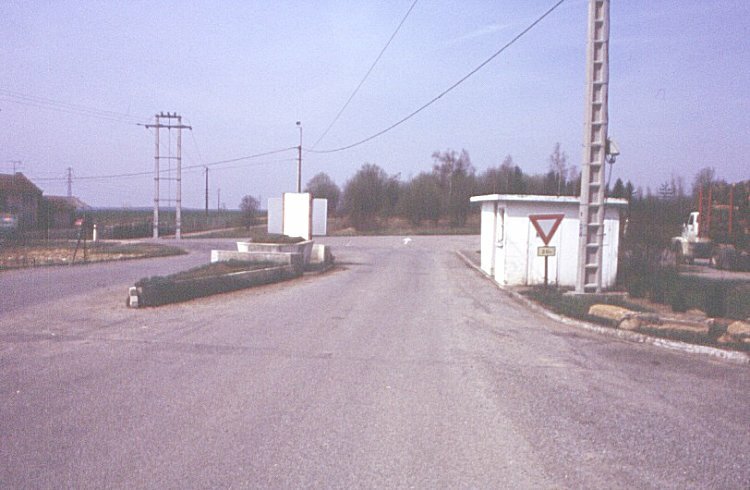 Approaching the main gate at Marville - February 1966. 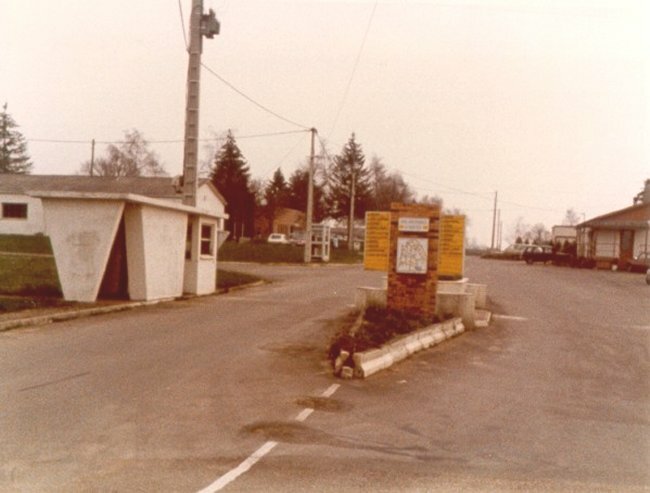 Post card photo of the main gate at Marville - January 1965. 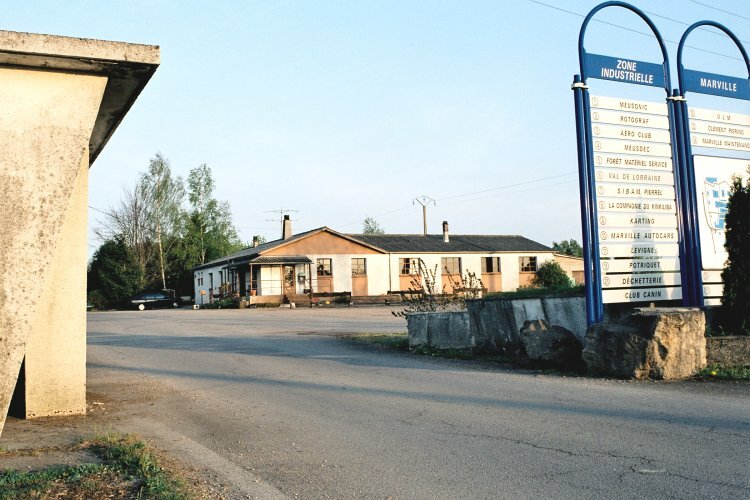 Courtesy Ren L'Ecuyer and Millie Johnson (now Jonsson). 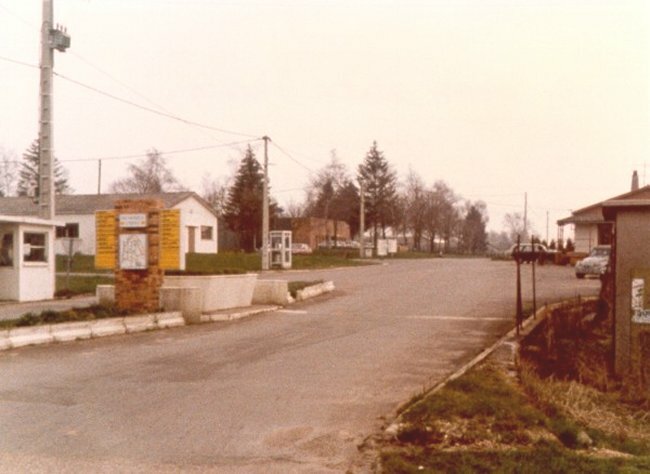 Photo of the main gate at Marville - April 1964. 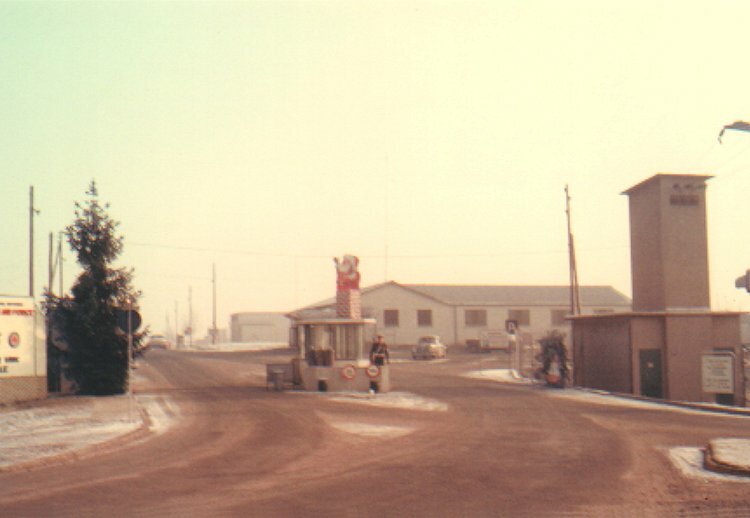 General area at the main gate to the station - December 1963. 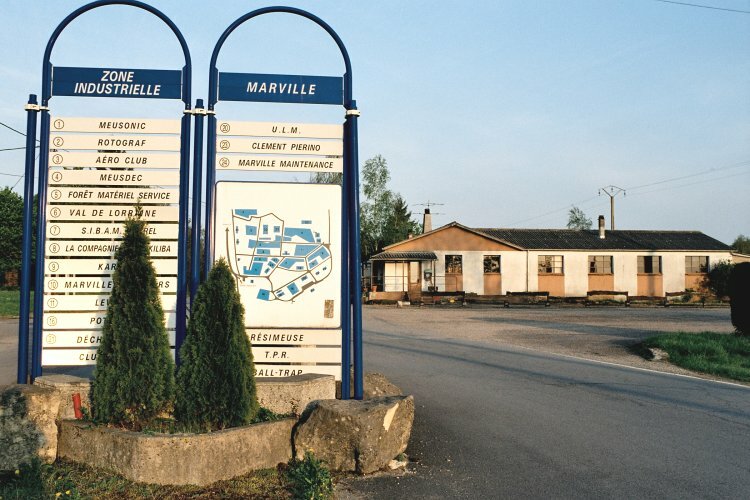 Photo of the sign at the main gate at Marville - May 1963. 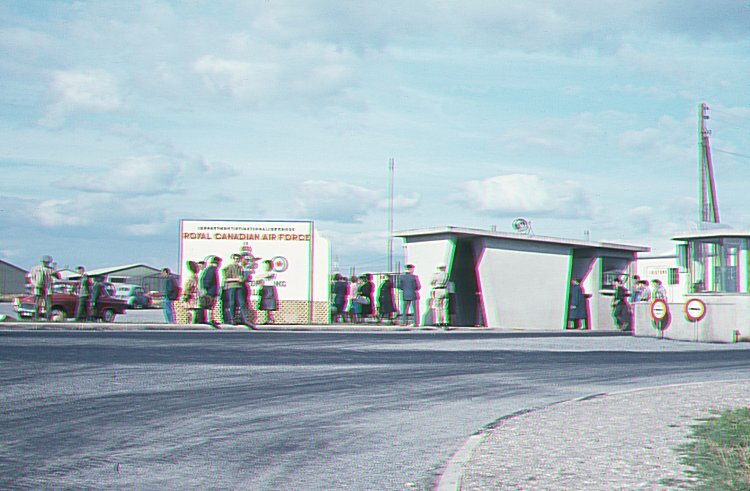 View of dependents gathered at the main gate - May 1963. 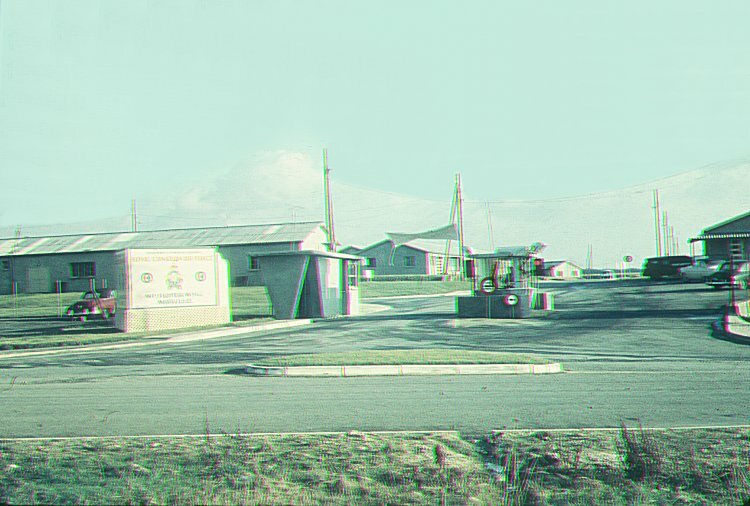 The main gate at the airfield - December 1962. 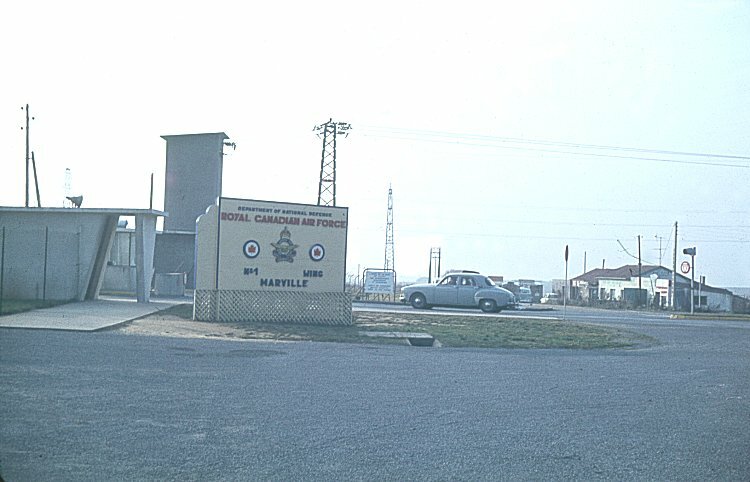 Post card photo of the main gate at Marville - April 1962. 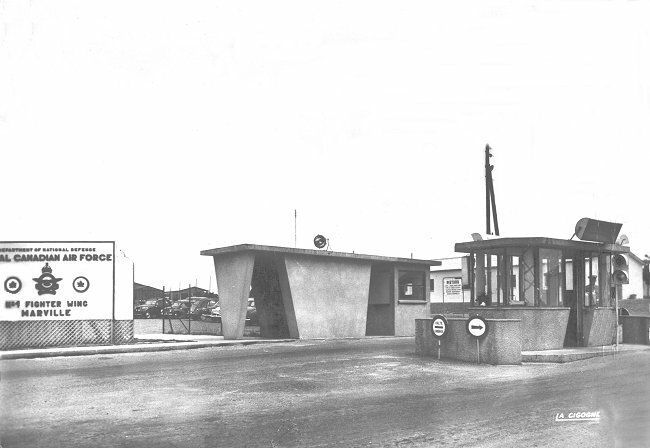 View of the main gate - January 1959. 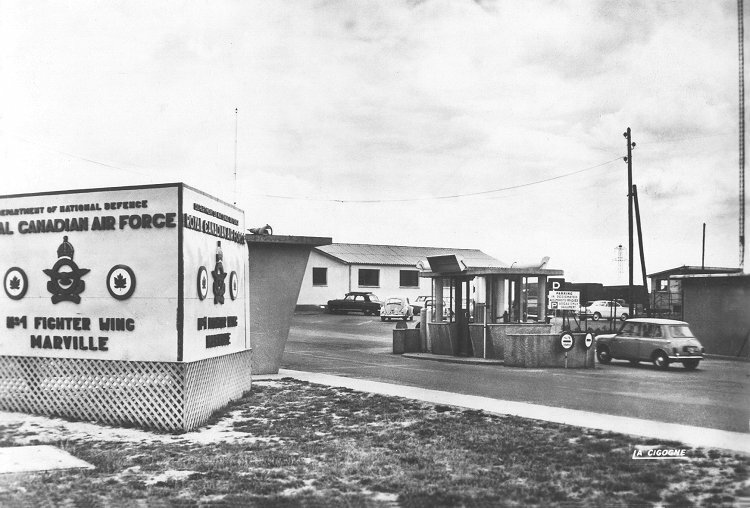 View of the main gate - April 1958.